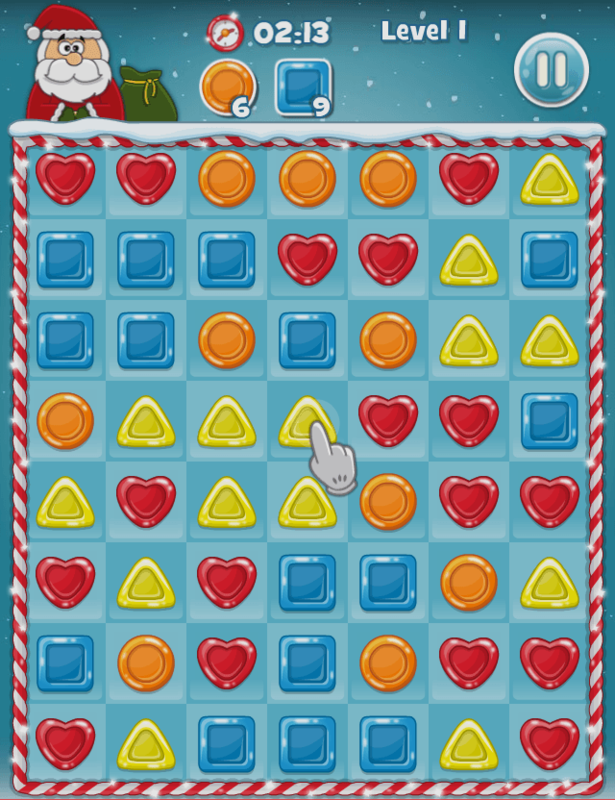 Connect candies of the same type in a straight line or diagonally. Try to collect the longest chains possible, as you receive bonus points and more time if you manage to connect more than five candies at a time. 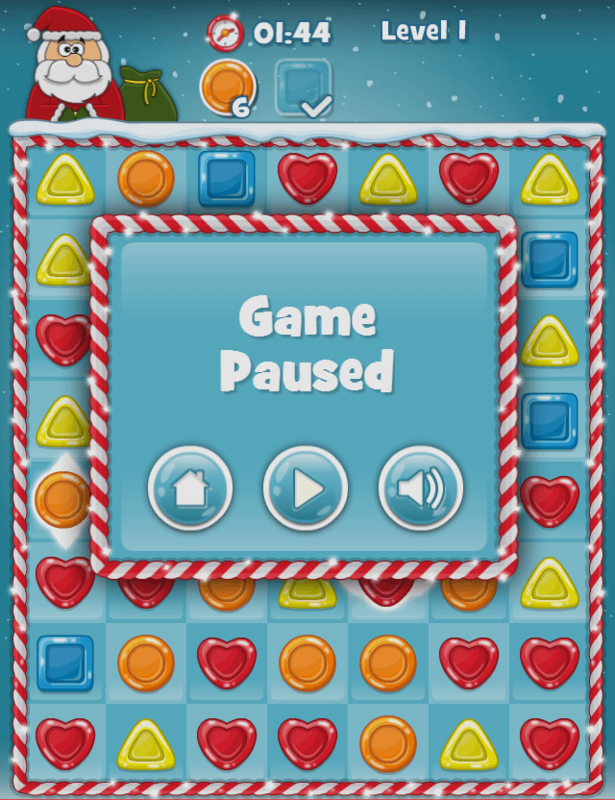 In each level you have to collect a number of different candies to help Santa and of course you have to be quick about it, because the time is ticking away fast. 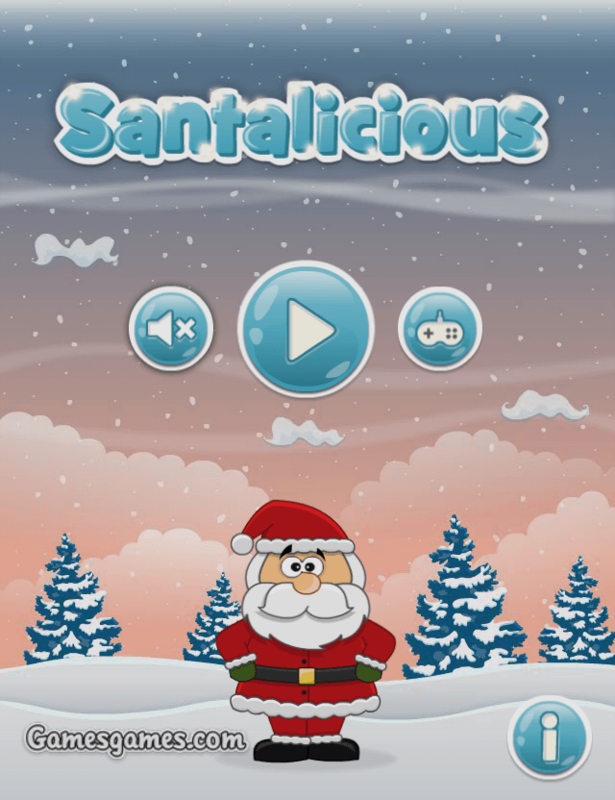 This game is the Christmas themed reskin of our other HTML5 game Pandalicious. Game was licensed and published by Spil Games – global network of online gaming platforms that welcomes 130 million active users each month. Play it on Zibbo.com!